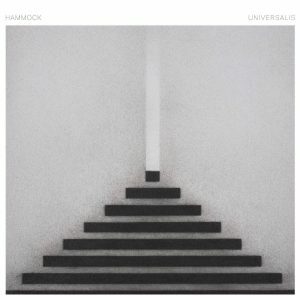 Ambient as a genre is one easy to listen to, but hard to criticize. What makes the pensive throes and undulating loops of non-vocalized sounds worthy of an hour (though usually more) of anyone’s time? Hammock, comprised of Nashville duo Marc Byrd and Andrew Thompson, seem to know. Universalis, their latest after 2017’s spectacularly underrated album Mysterium, features 11 poignant tracks of whirring guitar and an atmosphere that’s overwhelming in the best possible way. It goes against the work of more-acclaimed ambient artists, keeping each track below roughly six minutes (save for the brimming “Thirst,” which runs for six-and-a-half). Each offering is slick, digestible and (most importantly) distinguishable enough to not turn into some pseudo-pretentious slog. All in all, Universalis is worth the listen for both fans and non-fans of the genre alike, and is a fitting counterpoint to the often-memed “lo-fi chill beats to study/relax to” supercuts that often plague streaming services.